In this medical thriller, Paramedic Jim Stockbridge responds to an EMS call in the ghetto and finds his best friend brutally stabbed and shot. Consumed with rage he hunts down Sid Drakeâ€™s killers and renders his own form of justice. But he soon finds himself lost, tangling with his own demons, and a vicious street gang and its ruthless warlord, William â€œJ-Rockâ€ Jackson. So begins a long, dark journey that pushes Jim deep into his own personal world of bitterness and revenge, and ultimately to the brink of disaster. Haunting nightmares ensue. Endless nights. A brutal biker gang tries to have him killed and an angry detective wants him behind bars. His girlfriend leaves him, J-Rock is out for blood, and suddenly his entire world seems to be falling apart. 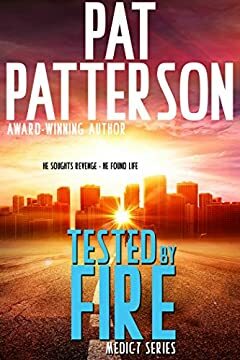 Jim Stockbridge becomes a man truly tested by fire. He set out to seek revenge, but found something totally unexpected--forgiveness.